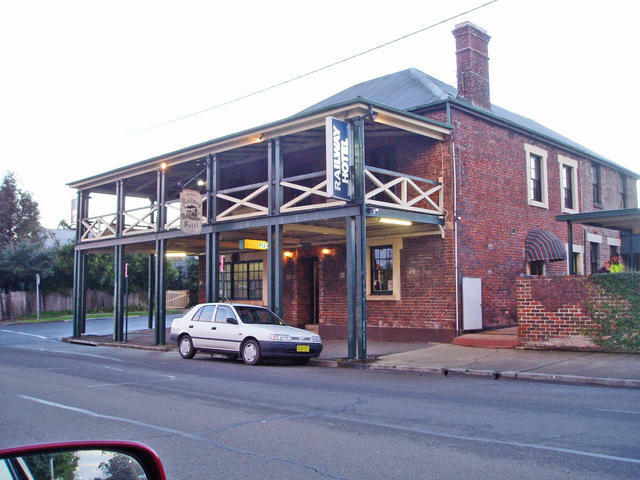 Take a river boat view back in time to see where the NSW colony first established its food source, and discover the oldest pub still standing in mainland Australia. The upper reaches of the Hawkesbury River was the foundation of NSW's food provisions back at the start of colonisation. With no path across the impregnable Blue Mountains at the time, early settlers established crops and produce, shipped to Sydney the long way. 80 kilometres of winding river from Windsor to the mouth of the river to the north-east still yields great crops today - although it is more of the grass lawn variety, used to adorn the mansions of those who today reside not far away in Sydney. This trail follows the river either side, exploring some of the oldest established town, and historical landmarks dating back to 1795, including some tremendous old pubs. 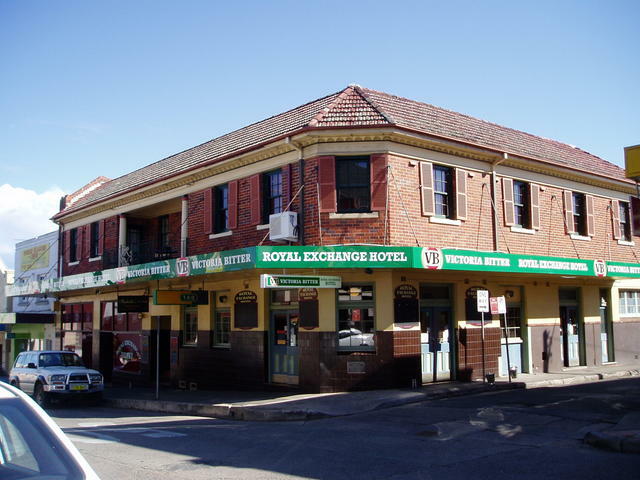 The links to religion, government, agriculture and viticulture are all there, as well as the longest standing Pub in NSW, built under the instructions of Governor Macquarie himself back in 1815. 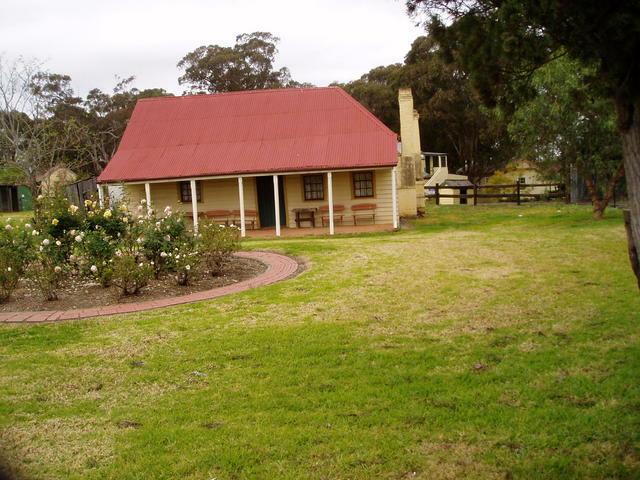 The trail begins in the historic township of Windsor, less than 50km as the crow flies from the capital city of Sydney, and easily reached by Freeway 4 and 7 in easy time. Windsor, is a pivot point for trailing the less congested but picturesque back way round to Lithgow for exploring the Blue Mountains, or heading west via Bathurst. But time should be taken, if touring this region, to make the Windsor area a base for exploring this trail which criss-crosses its way downstream, north, via many ferry river crossings, through Wiseman's Ferry and looping back via the north most point at St Albans. 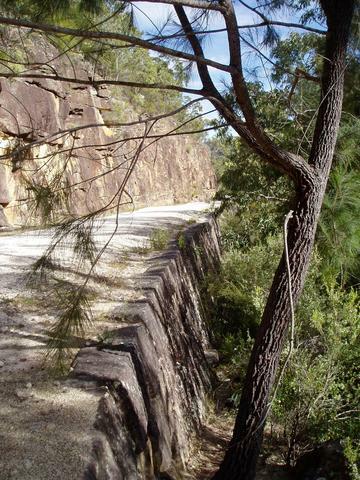 This trail is recommended to be taken by car only, and we suggest staying at nearby Pitt Town if you're caravanning. The ferry crossings should be considered with care if towing, as the entry/departures are quite steep for WDL's! Windsor was established back in 1794, and boasts some of the finest and oldest buildings and architectural attractions of the early 1800's. Take a stroll through the mall section, visit the information centre which has a great exhibition of the origins of the area. Easy parking in front, in Baker St, adjacent the rear of Macquarie Arms Hotel. 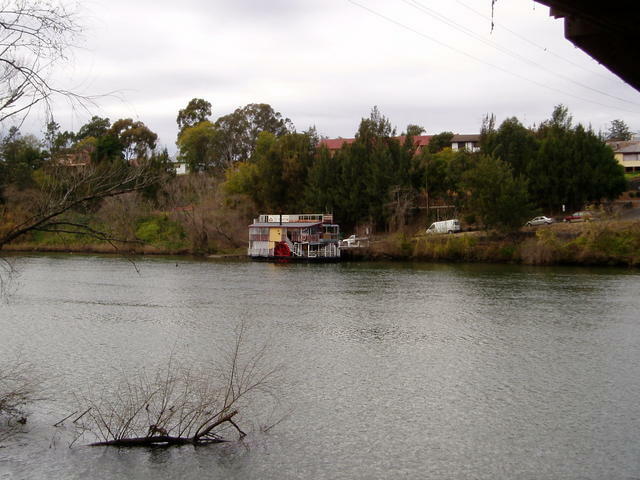 Be sure to walk the length of George St, then through the Town Square at the eastern end, and down to the River where the original wharf still has the odd paddlesteamer running there. The south-western end of George St takes you to the Windsor cemetery where there are numerous headstones that give you an idea of the age and founder names of the town. That is bounded by Richmond Rd and Macquarie Road, the former taking you north-west to the Richmond airbase and the township of Richmond, only 4 kilometres down. Don't be surprised if a whopping great Hercules Airforce plane bears down over you whilst in town. 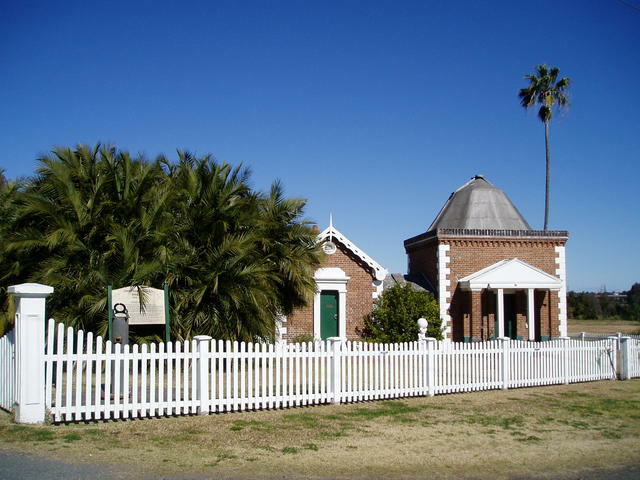 At the north-eastern end of town, take a car ride out to the Court House (Court St North) and The old Observatory at the end of Palmer St, near Pitt St which was once the way over to Pitt Town Bottoms, the adjacent village. Inside the magificently maintained dining room at Macqaurie Arms Hotel. This fine hotel, is in the middle of the mall at the eastern end of town. Another fine historical example. 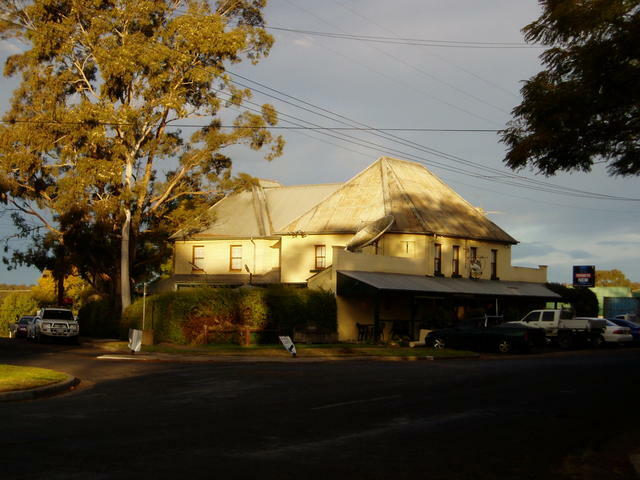 The oldest pub in mainland Australia (other than one older down in Tasmania). This 1815 icon, was built under the direct instruction from Governer Macquarie. Land was provided to the developer on the strict instruction that a deent watering hole be provided - and they sure did it proud! 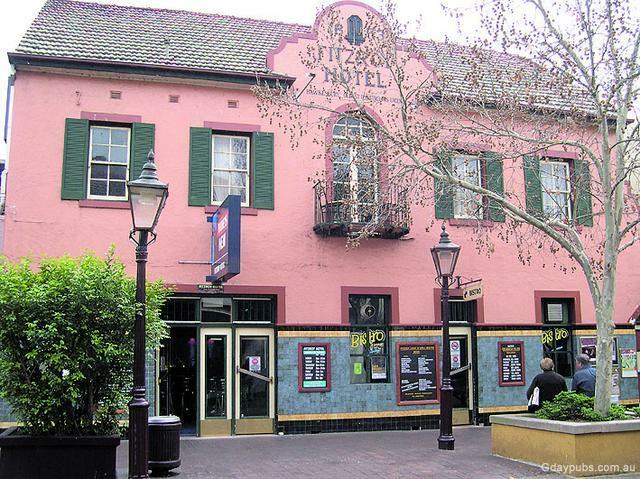 It is built on one of Australia's only Town Squares, and has a number of interesting features and memorabilia in its dining room and main bar. 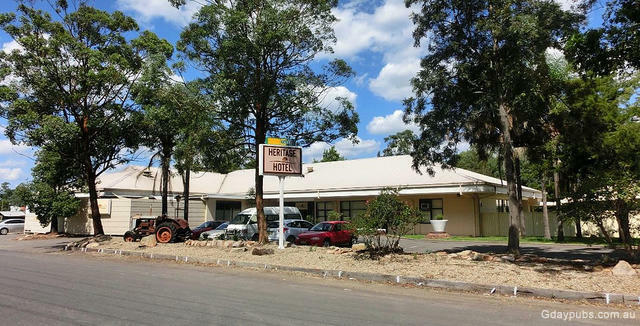 This hotel is out of town, to the western end, adjacent to the railway station of course, and is well frequented by the locals. Situated in the newer part of the town at the middle/western end of town. Leaving Windsor via the bridge over the Hawkesbury at the north-eastern end of town, you leave the Town Square adjacent to the Macquarie Arms Hotel, down over the bridge next to the original wharf, and head off via the Wilberforce Road (an extension of Windsor Rd). From here, you'll pass numerous turf farms captialising on the long established soils that lay along this low-lying farmland as you head north to follow the Hawkesbury River. First river crossing over by Ferry, at Sackville. Just before reaching the fork of Singleton Rd and King road, you'll reach Rose St, named after Rose Cottage, built circa 1811, which is on display next door to the Heritage Hotel. 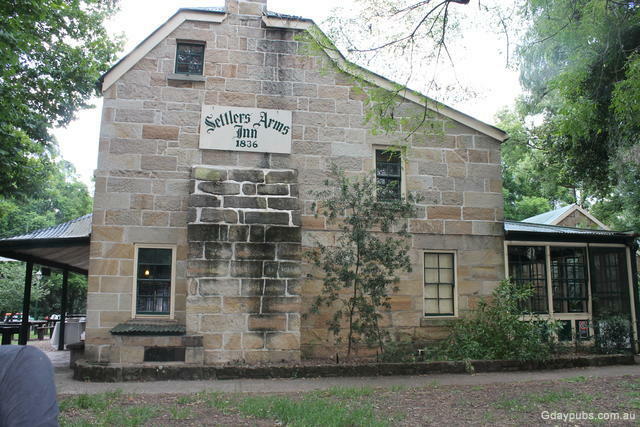 Time to take in some history again - as you read up about the origins of the Rose family, and get to see the oldest known timber slab dwelling still standing in Australia. A great story can be seen here, at this great display. Taking the King Road fork which becomes Sackville Rd, start heading towards Sackville, and you'll come to the turnoff to Ebenezer. The church and cemetery there has some great tales to tell. A group of families collectively decided to migrate to Australia, and form their own community upon arrival. They did everything together, forming the town, a church, school and farming and are a deservedly proud heritage to the colony of NSW. 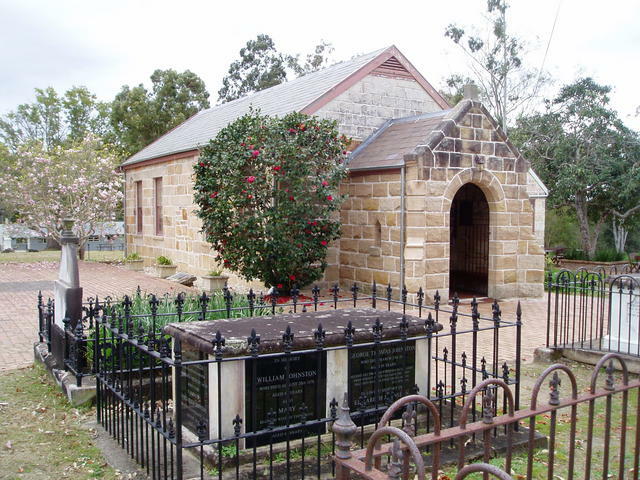 Slip off the Sackville road momentarily along Coromandel Rd to the Argyle Bailey Memorial Reserve to find the Ebenezer Church which backs onto the Hawkesbury River. 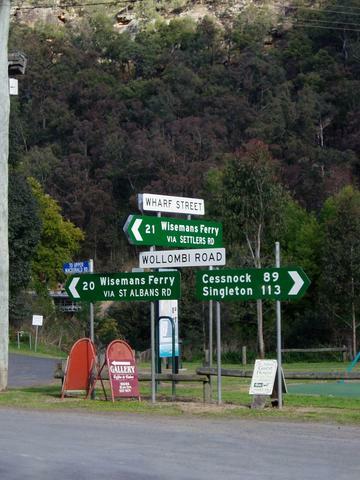 Return back to the Sackville Rd, and head on north where you'll make your first car-ferry ride over the Hawkesbury. New meets old here, as the Heritage Hotel is built right next door to Rose Cottage in Wilberforce. 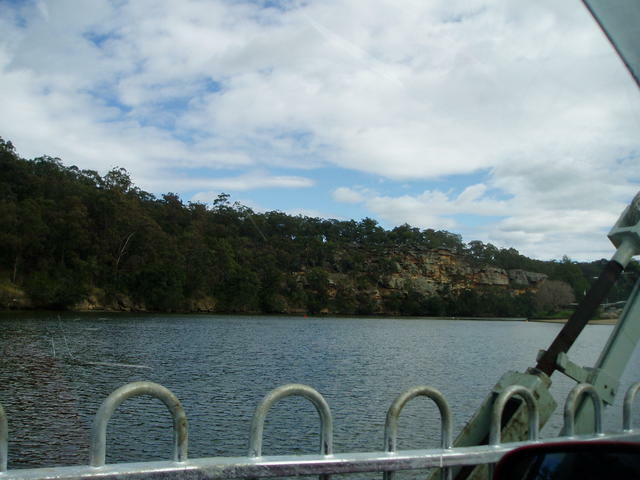 Wisemans Ferry is where the Hawkesbury River takes a serious turn eastward, to flow down to the sea. From the first ferry crossing at Sackville, the road climbs and you get some great views as you travel along the ridge from Sackville North, along the Wisemans Ferry Road which becomes the Old Northern Road as you reach the township. But don't miss the little lookout just short of descending down into the town, as you can see the broad expanse of the Kawkesbury River well into the distance from this vantage point. Stop and stroll the town, and get ready for some serious walking, if that's your game. Just down the bottom of the town, and over the ferry, is the Old Great North Road. Even if you only take half an hour to inspect the first kilometre or two, you'll be amazed at the efforts that early convicts put into building this incredible road structure. Section just 1km from the ferry. The Old Great North Road, once the main road from Wisemans Ferry back to Sydney, contains culverts, bridges, cliff edge embankments, gutters and roadworks, all hand built out on the edge of a cliff as it ascends the hills north of Wisemans Ferry township. 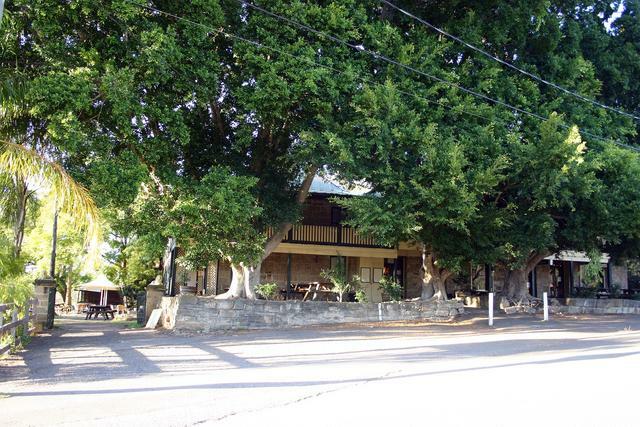 Hidden away under its magnificent treed facade, is the local Inn. You get a great view down the main street towards the Hawkesbury River, and the actual Ferry crossing below to the north end of town. 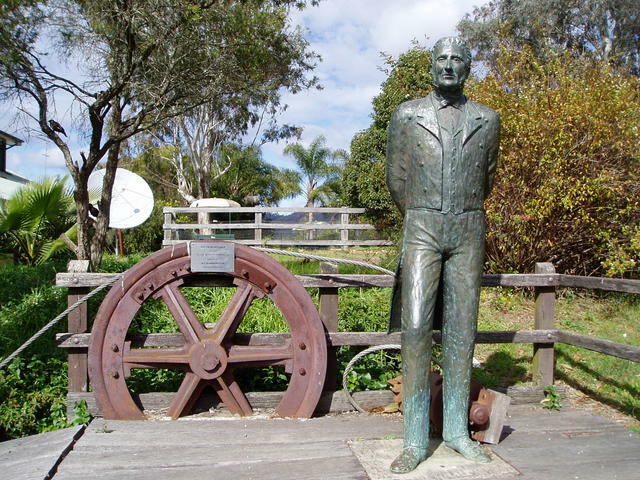 Don't miss reading up on the statue next door, depicting the origins of the town and its name! Taking the eastern side of the small river tributory that merges into the Hawkesbury at Wisemans Ferry, we suggest you travel up Settler's Rd, where you get to inspect the Old Great North Rd. In fact, at the start of that famous old road, you drive over a very inconspicous, but evidentally Ausralia's oldest road bridge, barely even marked other than by some white posts on the bend. It is about 100 metres south-east of the gated entrance to the Old Great North Road...... but I digress again. You're off along the twisty, dirt, but pleasant to drive run up to St Albans. Aaah! What's better than this on a cold day! Sitting with mates around an old fireplace. The atmosphere of the St Albans Arms is great! 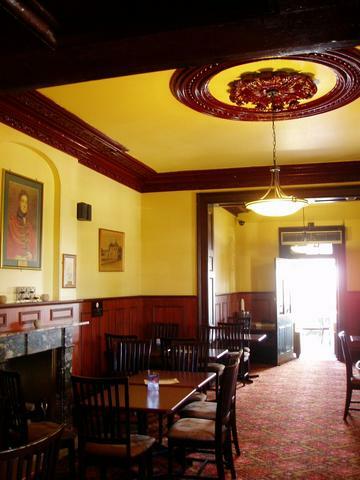 It's been looking after thirst patrons travelling these parts since 1842, so they know what they're doing! This marks the midway of the Pub Trail. It's time to head back south to Windsor, but this time, along the western side of the river, along the St Alban's Rd. 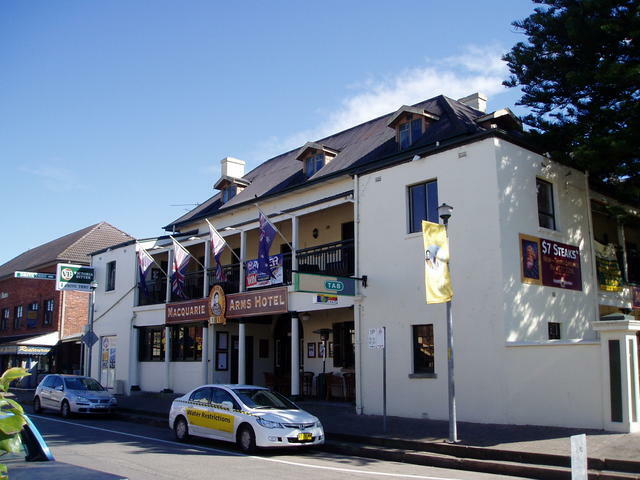 So pull out of the St Alban's Inn, and head down over the steel bridge which will lead you back down to Central and Lower MacDonald. As you head back, take time out to stop and take in the views of the escarpment you drove along earlier on the far side of the river (Settler's Rd), and check out the many holiday homes with their full river frontages dotted along this section of the trip. The St Alban's road will take you back to Wisemans Ferry, but stay on the western side of the river (don't go back into the actual township of Wisemans Ferry this time. Instead, take the Bicentenary Road which becomes Green's Rd which is now following the upper reaches of the Hawkesbury River again. When it first becomes the West Portland Rd, take a hard left and make the river crossing at the Lower Portland Ferry and cross back to the eastern side of the river. You'll now be on River Rd, which will take you a few kilometres down to the Sackville Ferry Road, that you were on at an earlier stage of this trip. Take a left, and head momentarily back towards Wisemans Ferry (like you've done before) but only a short distance to where you take a RIGHT to head south through South Maroota and Cattai, heading for Pitt Town Bottoms and eventually Windsor. This great pub, is a real nice place to end up at, mid way around this trail. 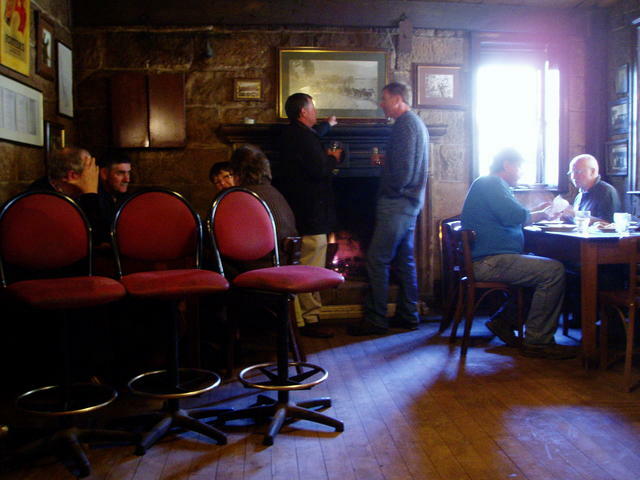 The main room, with its original open fire, stone floor, and quaint bar is just a treat to meet up with the very few 'locals' who you have to admit, are lucky to have such a wonderful place to call their watering hole. Our experience was during the tail end of a very cold August winter, with near snow conditions in the Blue Mountains as we left for the days run to here. A brilliant day! Travelling down from below Wisemans Ferry along the Wisemans Ferry-Cattai Road, you emerge at Pitt Town, where you need to take a quick right turn to travel up into the lovely village that caters for most of your needs. Pitt Town, is built along a ridge, overlooking what is a about a 4 kilometre stretch of farmland known as Pitt Town Bottoms, with the rather large city of Windsor out in the distance. Some great caravan accommodation is available in this area, and makes an ideal place to leave your van if travelling this Pub Trail. 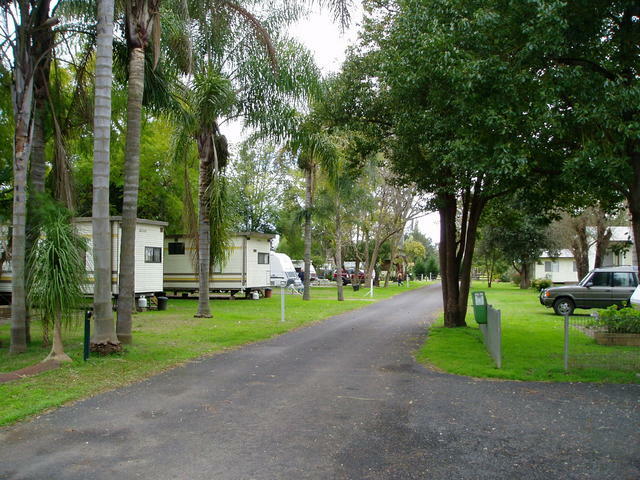 Typical scene - relaxing in a well equipped caravan park, right on the Hawkesbury River, minutes away to a beaut little village providing all you need, with Bird In Hand Inn at your doorstep....... yet also, only minutes down the road to Windsor with all its history to inspect. Pitt Town is one of those nice places to just stop and relax. 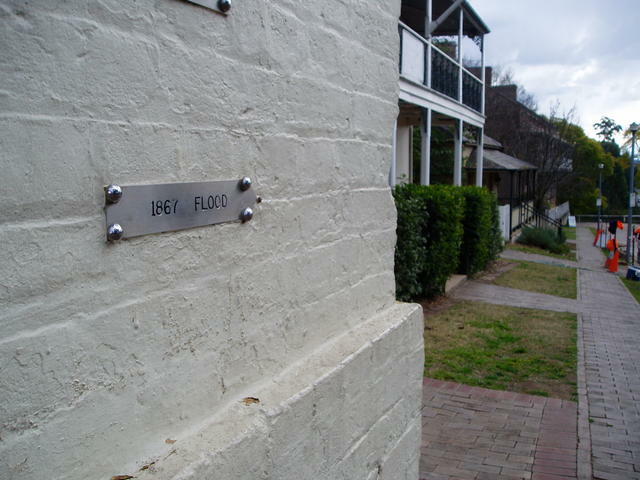 The 1870 flood mark on the back fence of Windsor's: Macquarie Arm's Hotel, gives an indication of the enormous height the river can go when in flood! Give some thought to the disasterous floods that have claimed areas around these parts, and marvel at the fact that the upper Hawkesbury, which is 80 kms from the sea, is still tidal as far as Windsor! 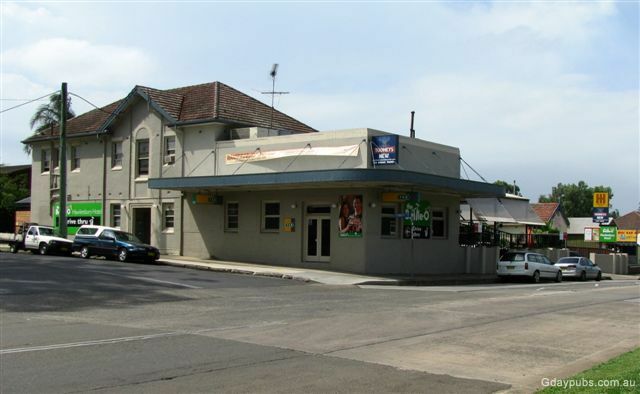 The Inn at the top of the village of Pitt Town - well positioned to oversee the magnificent low lying pastureland that is: Pitt Town Bottoms that lays along the flats, surrounded by the upper Hawkesbury River.